This was the year Roger Federernever dreamed of, even in his worst nightmares: A fluke knee injury, subsequent surgery, a stomach virus, a bad back and his first missed Grand Slam events in 17 years. But the 17-time Grand Slam champion — who weeks ago announced that he was pulling the plug on his 2016 season — has one goal in mind: Get healthy for 2017. Federer was joined by other tennis dignitaries Rafael Nadal, John McEnroe, Bjorn Borg and Rod Laver for a press conference about the Laver Cup, which was announced in January during the Australian Open. An event styled after golf’s Ryder Cup, it will debut next Sept. 22-24 at the O2 Arena in Prague and pit Europe — including Federer and Nadal — against the world. McEnroe and Borg will serve as respective captains for the exhibition-style event, which Federer and Nadal are already to committed to (Federer’s agency is a co-founder in the event) and will include six-player teams based on rankings as well as picks by McEnroe and Borg. “It’s a total dream come true,” said Borg, who will re-ignite his rivalry against McEnroe, in a way, as respective captains. Federer and Nadal’s rivalry is tennis’ most well known since Borg-McEnroe. 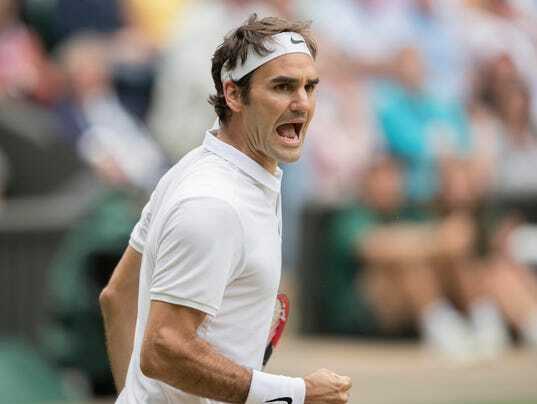 However, it has not dominated the latter rounds of the game’s biggest events in the recent past like it did in the late 2000s, including their classic 2008 Wimbledon final. With the event’s format, the two of them — as well as Novak Djokovic and Andy Murray — could all be on one team. Nadal, Djokovic and Murray will play at a U.S. Open without Federer for the first time in their careers. The last time Federer was not in the main draw of the event was 1999. Nadal, who turned 30 in June, is fresh off Olympic gold in Rio in the doubles event alongside fellow Spaniard Marc Lopez. But Nadal missed out on a singles medal with a loss in the bronze match to Kei Nishikori of Japan. Federer is still without an Olympic gold medal to his record in singles. The 35-year-old had set Rio as a target over the last four years after losing to Murray in the London final in 2012, but his knee injury forced him to officially cut his season short in late July. He also won a gold in doubles in 2008 with Stan Wawrinka. Federer did not answer whether he would try for Tokyo 2020. His most immediate focus is to get healthy. Monday he tweeted a photo of himself on the practice court and he said Wednesday that he was looking to get back into the gym full time in the next couple of months. He’s signed up for January’s Hopman Cup — a team exhibition in the first week of the season — and then will eye the Australian Open as a full-booted return. The Laver Cup has ruffled some tennis feathers in an already-crowded schedule. The event will feature men only to start, and will be in a weekend-long format each September, though it will not be held in Olympic years. ATP World Tour-sanctioned events could see a hit from players that choose to participate in the exhibition, though — with Federer and Nadal’s name attached — it’s hard to think any top player would accept the invitation. While it’s seen as a friendly atmosphere, prize money will be attached to results.